What would you like today? Fresh fruit or fresh vegetables? This is where young shopkeepers can display their wares and negotiate prices with customers. And if everyone is in need of a little break, they can make themselves really comfortable here. 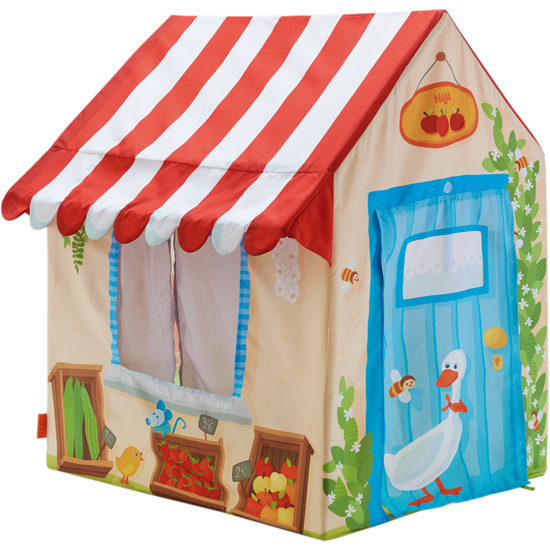 Features an awning, a roll-up door and two windows, one with curtains. Plastic rods with connectors facilitate easy and fast assembly. Does not include inside floor.